Two of the worlds best cookies in one! 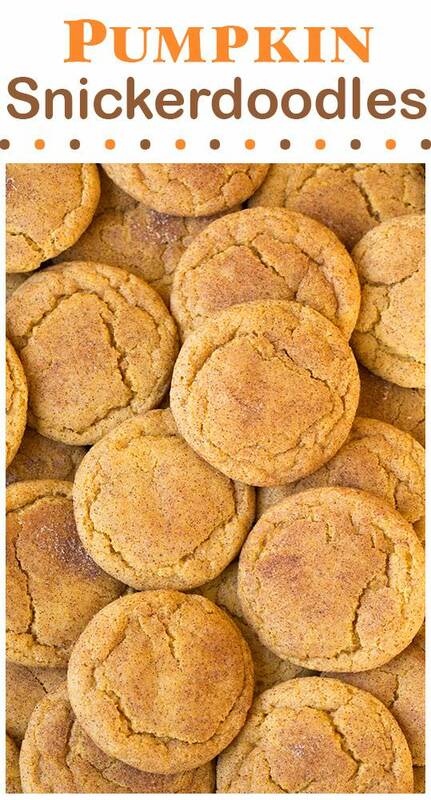 Pumpkin cookies meet snickerdoodles and they are out of this world. You are going to want to eat all the cookies. This makes a big batch though, so you can share it with your family and friends. Seriously it is difficult not to resist these. They are soft and chewy and full of all those delicious pumpkin pie spices. And when they are finished off with that light cinnamon sugar coating that gets lightly crispy as they bake to perfection you really will just fall in love. Visit Cooking Classy to read the full post.